The extraordinary bestselling classic that tells the greatest love story of all--the story of Mary and Joseph--as it has never been told before. This is the story of two real people whose lives were touched by God: two people chosen by God to provide an earthly home for His Son. Here are Mary and Joseph--a teenage girl and a young carpenter--alone, frightened, in love, and faced with family conflict, a hostile world, and an awesome responsibility. 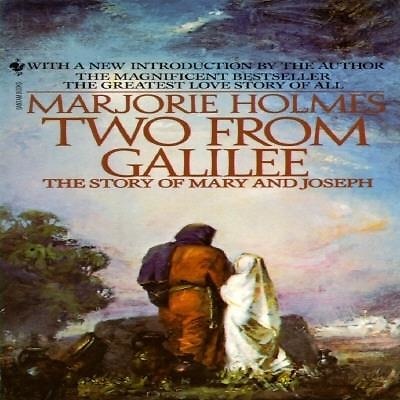 With an introduction from beloved author Marjorie Holmes, Two from Galilee is a compassionate, emotional novel of divine love for young and old alike--a story for everyone who finds the Christmas tale a source of timeless beauty and wonder.